I never know what to answer when folk ask where I am from. I’m from Scotland, of course – I’ve lived here for the last 17 years, and that’s my usual answer. But sometimes folk want to know where I came from, and that gets more tricky. I was born in Bedford in the south of England, but we moved a couple of times and ended up in Derbyshire before I was 5. So sometimes I feel as if that is where I am really from, because my formative years were spent there. But we moved to the Isle of Wight when I was 14, and my parents are still there, so other times I (grudgingly) admit that the Island’s my real home (did you see my eyes roll when I typed that?). But at a far deeper level I don’t identify as English at all. My father’s Cornish, and the Cornish are a proud race. So if you ask me where I feel as if I am from, that’s where I really feel I am from. 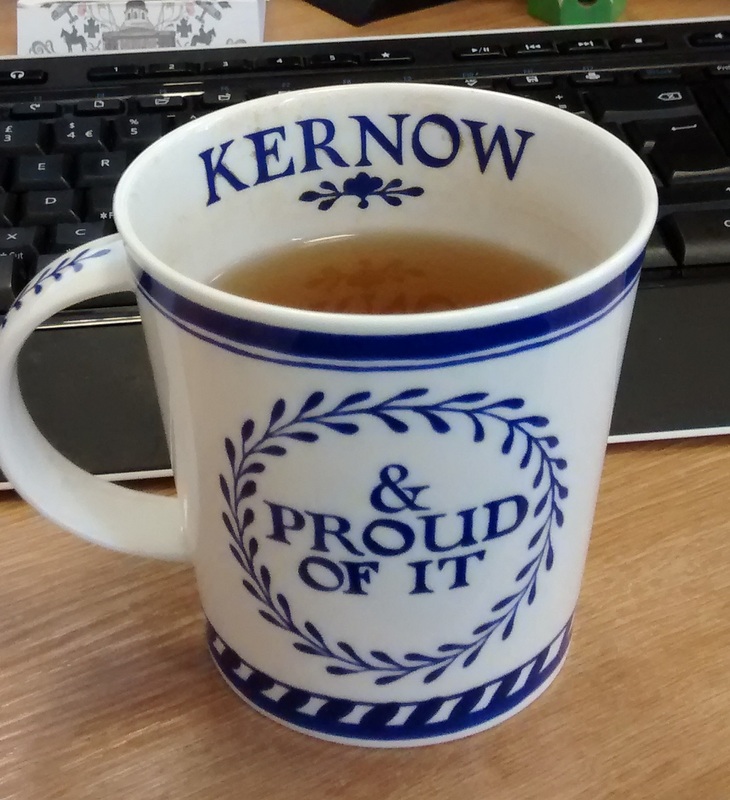 Just like my cup says (Kernow is Cornish for Cornwall). This post was inspired by Wendy’s recent post. 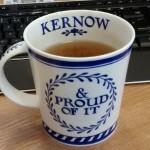 This entry was posted in #CLMOOC and tagged #clmooc, Cornwall, identity, Kernow. Bookmark the permalink. 3 Responses to Where is home? this so resonates, especially now with moving, resettling, setting new place markers — but before too. I grew up moving a lot. the question does not mean the same to everyone – or even every time asked or answered by the same person. clarifying that before answer. growing up itinerant, home was more people and connections than place. later, teaching ESL online, “where are you from?” (not the same but related) is a standard conversation and short writing prompt. so we talked about the differences and variations. the English (Cornish?) sense of “home” (and Ireland too) fascinates me. My son was conceived in Ireland by Irish parents, and then we adopted him here in Canada, and when we went to visit there the compelling belonging / gathering of him from people who were and were not total strangers… while in England we stayed with a great friend who moved there because when she visited from Canada “my feet sank into the ground and I knew I was home.” Thanks for this Sarah. And Wendy 🙂 and Vanessa. Thanks Sarah for that sharing. Thanks to Vanessa and Aaron, your comments resonate with me. For my husband’s culture (the islands bit) the question relates to where you were born. All my formative years where in the one place and my mother has only shifted twice in her 84 years. This definitely gave me a framework “I am a farmers daughter”…until my Dad sold the farm and I had a bit of a crisis! What am I now? Don’t worry, I got through that one….I am me! In the neck of the woods that I’m in now (Central Australia) it is customary to ask “what mob do you belong to” which refers more to a community feel of where you feel ‘at home’. It might come from your birth place and it might not. I like what Vanessa said about “connections and people”. There is a wonderful lecture series here: http://www.abc.net.au/radionational/programs/boyerlectures/boyer-lectures-2011-the-idea-of-home/2947332 that people might want to listen to called “The Idea of Home”.